This is a BULLSEYE 6" inch action figure toy review. A fantastic Toy Biz made figure. They and also Hasbro have reused this base body mold many times. Overall just a fantastic sculpt of this Daredevil villain. There is a variant that has a grin face sculpt and slightly different colors. But I liked this sculpt better. 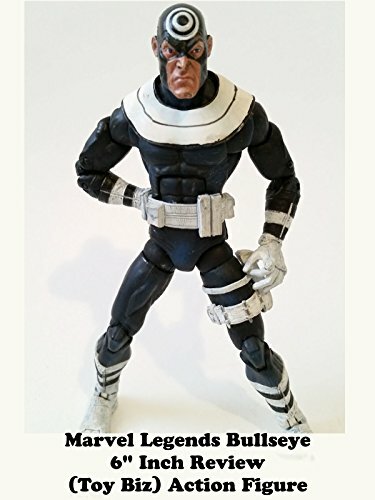 The only Bullseye action figure in this scale ever since Hasbro has not made it.